The Youth Commission of the Pakistan Catholic Bishops held a meeting in St. Patrick's Cathedral, Karachi, on April 4 to decide upon the theme of the “Year of Youth”, 2020. Andrea Tornielli, the editorial director for the Dicastery of Communication, provides a detailed synthesis of the Post-synodal Apostolic Exhortation "Christ is Alive!" Pope Francis signs his post-Synodal Apostolic Exhortation to young people, entitled “Christ lives”, during his pastoral visit to Loreto on Monday. Ahead of his Monday pastoral visit to the Italian city of Loreto, Pope Francis asks the faithful gathered at the Sunday Angelus address for prayers. Africa needs a blend of academic and technical education says Ghanian priest. Pope Francis reflects on the Synod of Bishops during his address at the Angelus on Sunday. Pope Francis focused his homily during the closing Mass of the Synod of Bishops on the Gospel saying that Jesus models a person who listens, is a neighbour and bears witness. In a Letter addressed to young people of the whole world, the Synod Fathers invite the young to "be a brighter future." In his homily during the concluding Mass for the Synod of Bishops, Pope Francis speaks about three fundamental stesps on the journey of faith. During the Synod on young people in the Vatican, Bishop Pius Riana Prapdi of Ketapang spoke about the challenges, hopes and aspirations of Indonesia’s youth. The Pope has gifted a souvenir of Jesus and His young disciple to all participants in the Synod of Bishops on young people that concludes on Sunday. As the Synod of Bishops on Youth draws to a close Archbishop Eamon Martin of Armagh in Ireland, speaks of his own learning curve at this gathering. Synod of Bishops: Now "determined in missionary spirit"
The Primate of all Ireland said at Friday’s Synod of Bishops press briefing that he that has not engaged with and encouraged young people enough. Brother Alois, the Prior of the Ecumenical Community of Taizé, looks back to an exciting month at the Synod, and forward to the implementation of the Final Document. The Synod participants make a Pilgrimage to the tomb of St. Peter along the Via Francigena. They conclude the pilgrimage with Holy Mass in St. Peter’s Basilica with Pope Francis. Young auditors speak about their experience at the Synod of Bishops. “By title, we are (Synod) observers, but I have come to realise that we are not only observers, we are also participants,” says Sr. Lucy Nderi, a Kenyan Salesian Sister. At Monday’s press briefing for the Synod of Bishops on Young People a bishop said that the Church must ask young people for forgiveness for the kind of world we have created. The Synod Fathers are visiting the Regina Coeli prison as part of the “Liberi nel’Arte” project that works for the reintegration of prisoners. 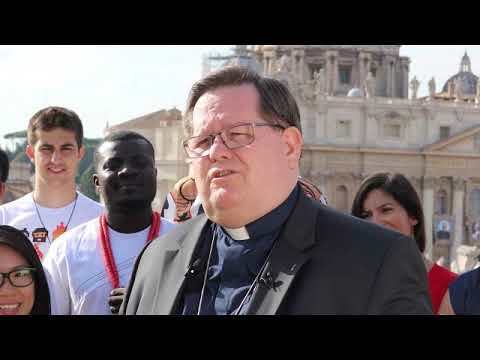 Synod Father and Auxiliary Bishop of Montreal, Canada – Thomas Dowd – talks about the need to formulate new methods of engagement to involve young people. Sebastian Duhau, a youth minister from Australia, and a young auditor at the Synod of Bishops, advocates the use of appropriate language in youth evangelization. Participants in short express their personal view about the Synod. Archbishop Joseph Atanga believes that the issues African youth face are distinctive and there are different ways of facing these issues. Ethiopian Cardinal addressed the issue of migration at length today. He lamented how African migrants are treated in Europe. The current world Synod of Bishops set up a Commission on October 17 to draft a letter to the world’s young people. Check out some of the recent photos of the ‘Synod of Bishops on Young People’. Allyson Kenny, one of 5 young people getting the Synod’s news out through social media, talks about crafting the Gospel message in the digital age. Percival Holt, the president of the Indian Catholic Youth Movement (ICYM) addressed the Synod of Bishops in the Vatican on October 16. Enthusiastic and wholehearted participation of young people during the Synod Bishops. Seven women religious are participating in the Synod of Bishops on Young People, and offer their unique take on it, affirming that young people are truly being heard. A Polish missionary bishop offers his impressions of the Synod on Youth. He says the biggest challenge will be translating the final document into local contexts. Iraqi auditor, Mr Safa al Abbia, speaks about his experience of the Synod and the response to his presentation to the Synod assembly. All the needs of young people are being listened to at this Synod, especially those of young people with disabilities. "You are very much present here. Take our hand and together we work for a better future." From the Latin auditor/audītōrem, ‘listener,’ Gabin Djimtoloum Djenaroum of the Republic of Chad is participating as an auditor at the Synod of Bishops. Three issues dominated the daily press briefing for the Synod of Bishops on Young People: the digital world, fear, loneliness and the Korean Peninsula. 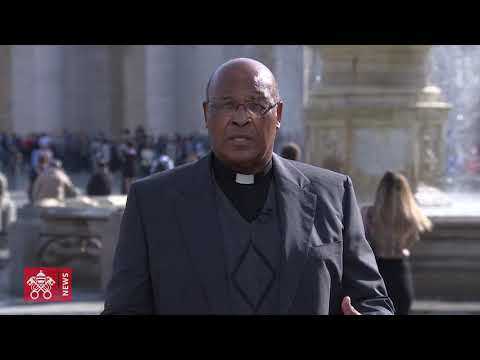 Southern African bishop speaks about his Synod experience. Today at the Synod of Bishops on Youth a number of interventions were made that highlighted the social context in which young people are trying to live their faith. Bishop William Nolan discusses one of the themes of the Youth Synod, vocational discernment and talks about what he would like to see coming out of this gathering. The young people of India’s Bombay Archdiocese came together to celebrate “Synodgy 2018” in spiritual solidarity with the current Synod of Bishops on young people in Rome. A book launch and an event that will see Pope Francis in dialogue with the elderly and the young are planned to coincide with the Synod of Bishops. Pope Francis on October 6 addressed a festive rally in the Vatican that brought together some 7,000 young people from various parts of the world, along with the Synod Fathers. Check out some photos of the ‘Synod of Bishops on Young People’ which opened on Wednesday in the Vatican. Joseph Cao Huu Minh Tri, from Vietnam, is an auditor at the Synod of Bishops. He expresses a challenge for the Church to help young people realize its beauty. 31 year-old Joe, representing New Zealand and Samoa, is one of the young people in Rome to address the Synod of Bishops whom he says sound in tune with what young people want. Pope Francis shares some lighter moments at a coffee break during the second day of the Synod of Bishops. Twenty speakers address the Synod of Bishop during Wednesday’s afternoon session of the General Assembly. The bishops are focusing on the first part of the Instrumentum laboris. 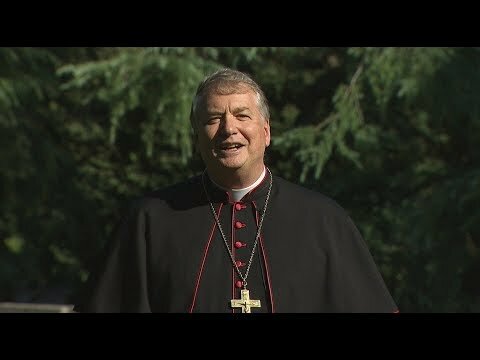 Bishop John Keenan of Paisley speaks about a Church that accompanies its young people and the Scottish Bishops’ recent Ad Limina visit. Pope Francis leads the assembled gathering in the Liturgy of the Hours, and gives the opening address at the XV Ordinary General Assembly of the Synod of Bishops. The XV Ordinary General Assembly of the Synod of Bishops begins on Wednesday. The Synod’s theme is Young People, the Faith and Vocational Discernment”. Nick Lopez, one of the 5 young people who addressed the Pope during the Pre-Synod Meeting of the Synod of Bishops in March, calls it an ‘amazingly beautiful experience’. Katie Prejean McGrady, wife, mother, youth minister, author and speaker, participated in the pre-Synodal meeting in March, calling it “life-changing”.